For many people who get hurt at work, hiring an attorney is the last thing on their mind. They are more concerned with their physical injury and maintaining a good relationship with their employer. They believe that hiring an attorney will not help with either. So, instead of seeking legal counsel, the injured worker goes through the motions with the workers compensation injury company and does everything possible not to rock the boat. The ultimate goal is to get better quickly and return to business as usual. When the injury is minor and the recovery time short, this may be the best way to handle their situation. It will be true that the employee likely will not receive all the benefits to which they are entitled, but that is often the sacrifice the employee makes in order to keep their relationship with their employer. Very often, this strategy turns into a nightmare when recovery is not quick and injury symptoms linger on requiring extended time off of work, more therapy, or even pain management and surgery. In such situations, the injured worker ends up losing employment and health benefits when protective leave is exhausted. Their employer starts looking for a new employee to fill the injured workers shoes. 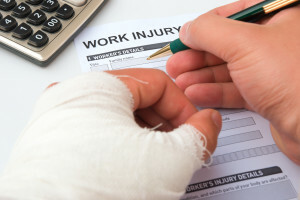 The employment relationship turns south when the injured worker has been off the job and may continue to be off for an indefinite amount of time. Now the injured employee is in a very tight spot. The employment relationship has soured, the employee has lost benefits and the workers compensation insurance company’s only goal from the outset has been to set the workers compensation claim up so the least amount of benefits get paid to the injured worker. Too many people find themselves in this mess. Therefore, Do Not Hesitate To Retain A California Workers Compensation Lawyer – Attorney Alexander Napolin. By retaining an attorney early in the game, your relationship with your employer may go south. But that idea is more of a fear than a reality. Remember, your claim is against the employer’s insurance company. Often, the employer does not care that a claim has been filed and an attorney hired. If the employer is really upset about you having a workers compensation lawyer to help you, you may want to rethink whether you even want to work for that employee anymore anyways. Thus, it is safer to go ahead and hire an attorney from the outset to protect your workers compensation rights and get you the attention you need to get back on the job as quickly as possible. In the event you cannot get back on the job quickly, the attorney can take steps to keep you financially afloat and advise you on how to deal with difficult situations as they may arise and not after the fact. All the while the lawyer will be working on securing all of your rights under California workers compensation law by staying one step ahead of the insurance company. Chino Workers Compensation Lawyer Alexander Napolin will give you the counsel and representation you deserve to get the best outcome. 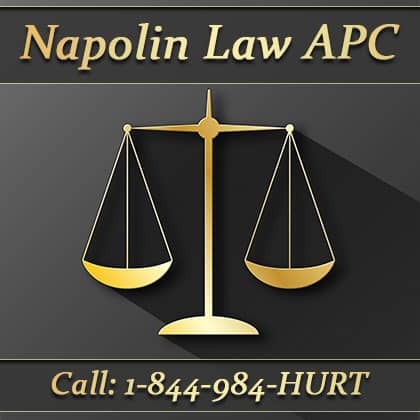 Call him for a free consultation today at 1-909-325-6032 or fill out a consultation form at www.napolinlaw.com. Napolin Law Firm helps injured workers Serving the Inland Empire, San Gabriel Valley, Orange County, Los Angeles County, San Bernardino County and Riverside County areas. We are also a general law practice that offers valuable legal advice at affordable prices to individuals and businesses. Visit my website at www.napolinlaw.com. Nearby cities serviced also include Chino, Pomona, Rancho Cucamonga, Upland, Montclair, Chino, Rialto, Fontana, Ontario, San Bernardino, Colton, Azusa, Glendora, Duarte, San Dimas, La Verne, West Covina, Diamond Bar, Chino Hills, Corona, Norco, Redlands and Riverside. Do Not Hesitate To Retain A California Workers Compensation Lawyer – Chino Attorney Alexander Napolin.